iPhone 7 Deals >> From Only £26 a month with 5GB and £29.99 HANDSET. Huawei P20 128GB Phone with 9GB of Data for Only £28 a month. £29.99 HANDSET. Samsung S8 with 30GB Data for £36pm + £49.99 upfront. iPhone XR with 30GB Data for £48pm + £9.99 upfront. Online only. FREE Gifts with New Mobile Phones - Includes Gaming Consoles, Gift Cards, Headphones, Fitness Watches and more! Online deals you won't find in Shops >> Save Big! 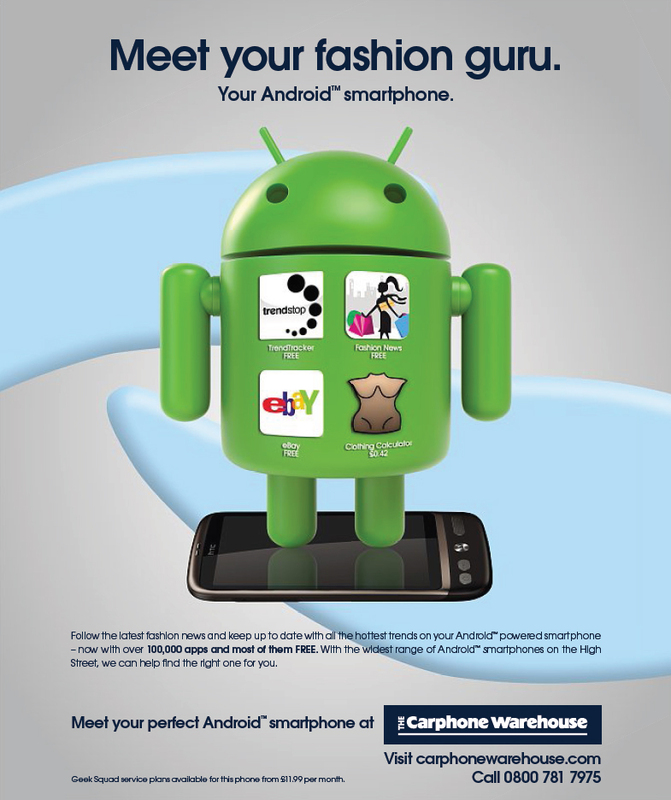 Carphone Warehouse are one of the most well known mobile phone suppliers in the UK today and have over 20 years experience in the mobile industry, with over 1000 stores across the high street today. Carphone Warehouse is a mobile phone retailer that was created in 1989 and has gone from strength to strength ever since. The company first began operating from a rented flat in London’s Marylebone, and took its name from the fact that mobile phones were then so big they were called ‘car phones’. From 20 stores across the UK in by 1994, they now have over 2,000 stores across Europe! Offering their customers great deals on mobile phones and impartial and honest advice on mobile phones, networks and repairs. 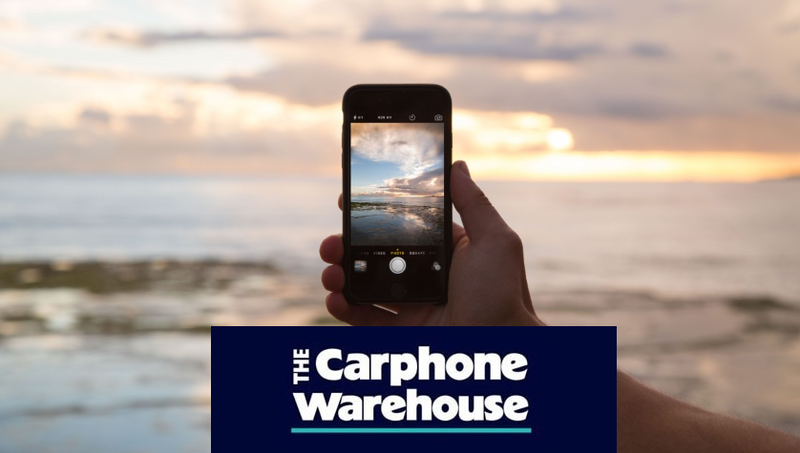 The reason behind Carphone Warehouse’s success is their commitment to offering their customers the best products, fair prices and a fast & friendly service. You’re able to find your perfect mobile deal with the support of an employee either in store or online. Today they have expanded past just offering mobile phones and you’re able to get anything from the latest tablets, fitness wearables and smart watches. Need more of an incentive to buy from them? Well Carphone Warehouse understand not every deal is right for you. That’s why they look at more networks, phones and deals than anyone else to help find the right one for you! So you’ll get all the information you need in order for you to make the right choice when it comes to your next handset or phone contract. This includes finding out the networks that have the best signal, the perfect data packages and much more. Carphone Warehouse also recognise that if you can find a cheaper deal somewhere else then they’ll match it and even pay your first monthly bill! That’s a pretty sweet incentive to go with them and did we mention because of this customer service the company is the proud winner of several awards, from Mobile Choice Consumer Award’s ‘Best High St Retailer’ to Retail Week Award’s ‘Retailer of the Year 2016’? So you know your trust is well placed. The company offer all sorts of benefits to making a purchase with them, including their FREE next day delivery, where you’re provided with an accurate 1-hour time slot, so you won’t have to do the annoying waiting around all day til your parcel arrives at 6pm. Carphone Warehouse are also venturing outside of mobile phones and in collaboration with Mowbli, they’re also helping their customers find other deals that are perfect for them. Mowbli compares more in order to help you save more. Now they’re moving beyond mobile phones and into energy, broadband and TV. They’re using their expertise, choice and independence to help you find great deals. This means millions of people can be helped to save millions! Of course outside of their excellent customer service Carphone Warehouse never shies away from providing their customers with all the latest phones. Their website’s ‘Just Arrived’ section provides you with all you need to know about their latest phones and exclusives that are available to buy. Here you’ll find the likes of iPhones Xs with its 5.8-inch Super Retina HD display, 12MP dual lens camera and much more. Not an Apple fan? You’ll also see the latest Samsung Galaxy Note9, offering a 6.4-inch Quad HD+ display and a 12MP + 12MP dual camera! Carphone Warehouse provides simple and convenient breakdowns of all these new phone models so you can see exactly what they offer and compare them to one another. If you want to be the first to get these handsets then you can use their site’s Register Now feature to be the first in the queue for any unreleased models. For Apple’s iPhone XR simply register and put down a deposit of £25 and they’ll even match it with another £25. Finding your latest handset and phone contract couldn’t be any easier, but if you want more of an excuse to shop with Carphone Warehouse then we’ve got all the latest discount codes and offers for you, so you can save more on your favourite mobile products. Carphone Warehouse are offering a number of other deals – Take advantage! With literally thousands of tariffs to choose from there’s plenty of choice for customers, with all the latest mobile phone’s to browse, including iPhone 6, 6 Plus, 5s & 5c, Samsung S5 & Note 4, HTC M8, Sony Z3 & Z3. There’s also a chance to pick up the odd freebie or two, depending on your contract, as the company also gives away free consoles, tablets, tv’s with online orders, so not only do you get your mobile phone on a great tariff, but are also in with a great chance to pick up a nice present along the way. Carphone Ware house have released their latest deals on iPhone X and XS which are available to pre ordered. There are some great deals available for NHS staff and family when you buy online. These online iPhone deals are usually cheaper than in-store so make sure you keep an eye out for the deal that suits you best. Is there Specific NHS Staff discount? There is no specific NHS Staff discount available through Carphone Warehouse, however they continue to send us their best selling handset deals and promotions which we present to you here online. Therefore if it’s a new phone you’re looking for you should continue to check back often to find the right deal for you. We will continue to bring you all the latest offers, which include these exclusive online mobile phones deals. Our systems update the offers frequently, so whether you’re on a night shift or days off, just log on and check out these deals. Thousands of Mobile Phone Contracts to choose from – plus free gifts! Best NHS Mobile Phone Deals Ever! !